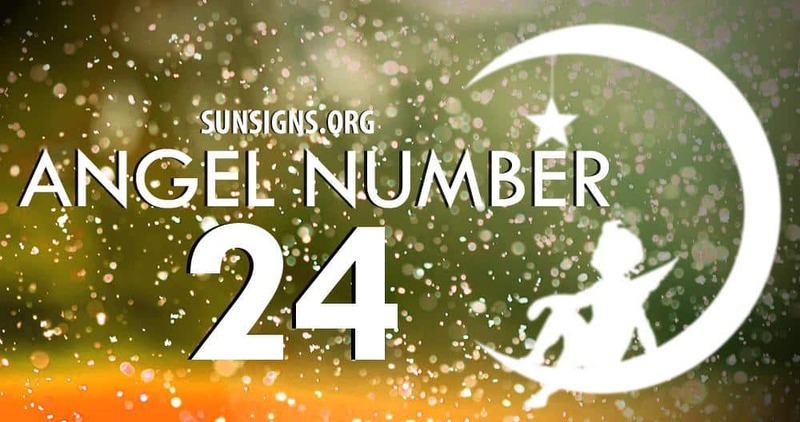 Whenever the Angel Number 24 appears again and again in your life, you have the assurance from arch angels that they are with you in enhancing your optimism and self-reliance. Your attempts and hard labor of the past have resulted in ensuring a strong base for your desires. You have to follow it up with self-belief and insight. The Angel Number 24 is assuring you that whatever you are doing is in the right direction. You are advised by the appearance of Angel Number 24 that you have the full assistance of the angel numbers in your drive towards accomplishing your targets. It also indicates that you must have absolute confidence in yourself and pay attention to your inner voice. A mix of the energies of Number 2 and Number 4 gives the overall attributes of Number 24. Number 2 has vibrations of poise amid contradictions, discretion and collaboration. It also signifies the real meaning of spirituality and existence, and deals with affiliations and affections. Number 4 has the qualities of diligence and accountability in starting new ventures, realism and management. It denotes enthusiasm and vigor in executing your well thought out plans with common sense and conscientiousness. Uprightness and openness are the other traits associated with Number 4. Recurrence of Angel Number 24 suggests that you should pursue whatever you are doing with all the zeal and keenness. To be successful in life and realize your ambitions and goals, it is obligatory on your part to have full faith in your inherent skills and capabilities. You should have the belief that you are about to reach the pinnacle of success and should not retract from the course of action you are following. A firm belief in the powers of angels and the Supreme Power will help you to overcome all the obstacles and apprehensions in your path to success. You have to just ask for the assistance of the Divinity and you will have it.